So now that you have a new fancy and modern site for your dental practice, it is time to promote your site and improve those Google Rankings. For significant levels of success, the work here is just beginning. Websites built by First.Dentist come search engine friendly right out of “the box” with many SEO factors already in place, but this does not mean you can expect maximum search engine performance. There is no ‘set it and forget it’ strategy that works well for SEO. Continual optimization and adjustment is critical for long term, and even short term success. Your new First.Dentist website will be in great shape and have much of a traditional optimization already in place when you take the keys but a longer term campaign will deliver the best results. While First.Dentist customers will not need to worry about this, once a new site is ready to go live the stage of an initial optimization is necessary. This stage involves a level of keyword research (although for the dental niche the proper keyword-phrases are typically straightforward) followed by the optimization itself. This initial work involves adjustments both behind the scenes and in the forefront of the design. Behind the scenes work includes basic SEO such as alterations to the image alt attributes (text associated with images, not typically viewed by humans), meta descriptions (a brief description of the page designed for search engines) as well as more advanced changes such as JSON-LD markup (This is fancy code used to help describe the website to search engines). It often also involves proper setup of tools such as Google Search Console & Google Analytics. In addition, installation and configuration of various CMS (Content Management System) Plugins is also required in many cases. For First.Dentist clients, much of this SEO work is completed for you automatically. Other changes take place on the website that is fully visible to end users. SEO work that your end users can see is also a big part of SEO. 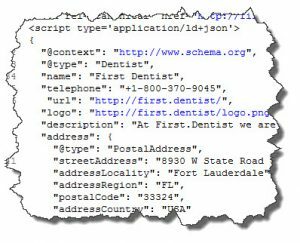 This work can include minor alterations to on page copy where target keywords are either added, removed, or altered, heading tags are adjusted, location and contact information may be expanded on, and title tags are tweaked. (Title tags are partially behind the scenes. This text appears in your browser tab and often as the link anchor text used in search results along with your listing. They are essentially a very brief description about the page.). There are sometimes also navigational elements that require work, which may mean altering the main site navigation, or simply adding inline text links to existing copy. The full scope of what is required varies greatly from one site to the next. 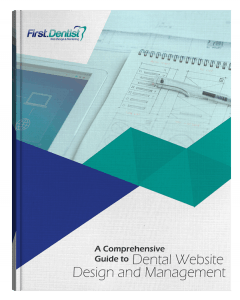 Again, if you are starting off with a First.Dentist website, the vast majority of this work is integrated into the design phase. Ongoing SEO is where we start to see results. The initial SEO work is critical, but if you implement those changes and then do not take any further steps, the chances of success are incredibly slim, with rare exceptions. The ongoing work is a different animal and can take more of a reactive approach whereas the initial work is largely proactive. The ongoing work involves a number of steps to be successful. One of the most important is the monitoring of rankings and traffic, as well as watching various tools for signs of change or problems. Rank reporting software is used to check for organic search rankings (the rankings in the free part of Google search), Analytics is used to check for traffic trends, and other third party tools such as Google Search Console. This can include checking for and correcting minor crawl errors, watching for messages directly from Google and acting on them as appropriate, and even checking for signs that hackers have been at work. The data gathered in the monitoring process is used to fuel additional changes and alterations to the website. Sometimes this can be as simple as a small tweak to a title tag, and other (extremely rare) times it could result in major changes to a website. This is all situation dependent. For example, in recent years Google has made a strong case for sites to be responsive (how they load on different devices, mobile vs desktop, etc). This has led to considerable changes in how websites are now developed. For First.Dentist clients, your new site is responsive and satisfies this need, but for others, a non-responsive site will limit possible successes. Changes made to the site are in some cases trial and error (as SEO is not an exact science) and in others are in response to a changing landscape (different algorithms, stiffer competition, etc). While the types of changes made vary, they are largely very similar to those made during the initial optimization process, using a series of behind the scenes and up front edits. There is also some off-site work that can be critical to SEO success. This involves citation building and management. As part of a campaign we can monitor your presence on other 3rd party websites to ensure accuracy. The importance of this is best explained in an example. Lets say that your physical address on Yelp is incorrect. Even if the error is off by a single digit, this could impact your local ranking results on Google. Google checks your websites citations across a number of local oriented websites looking for a greater picture of trust and accurate. If this data is not properly synced it can shed doubt on your authority and result in a decline in rankings. By regularly checking for inaccuracies and repairing them this helps maintain (and restore) this trust. 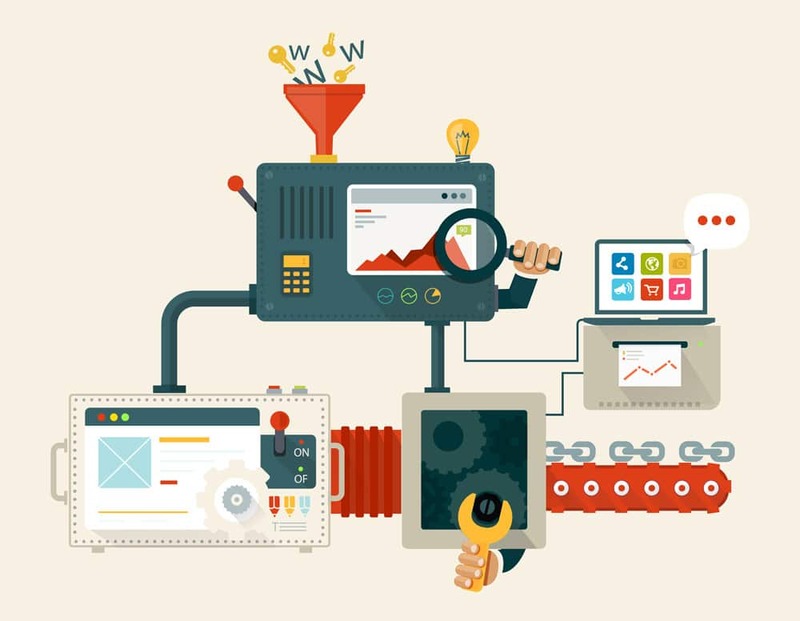 With an on-going SEO campaign the worry is taken off of your shoulders and placed on the SEOs. Monitoring results can alert an SEO that an algorithmic change has impacted your search campaign and trigger action on our part to get your site back on track. Ongoing SEO significantly increases the chances of ranking success and beating out other dentists in your area, and as such should not be overlooked once your beautiful new website goes live.